In the early development stages of a young child’s body, the senses are extremely delicate and sensitive to a lot more in comparison with the body when it reaches physical maturity. An infant or a young child have miniature eardrums that are very prone to damage from noise levels that exceed 70 decibels, which an adult might deem acceptable, but such exposure is very capable of causing noise-induced hearing loss problems to a child. Once the damage is done to the ear fibers, it can lead to lifelong implications that may never be reversed. 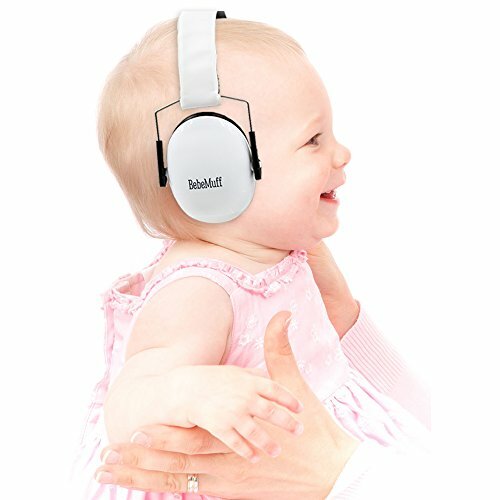 Before you bring your child along with you into a crowded environment where there might be sudden breakouts of noise like concerts, stadiums, arenas or even common places like cafès and restaurants, you have to make sure that you invest in some high-quality noise-canceling headphones that will help keep your child’s ears out of harm’s way. No matter what style of headphone you get remember that it is recommended your child only wear headphones for a maximum of 2 hours per day to avoid hearing damage! Being in the midst of a noisy environment might cause a child to feel uneasy or nervous. It’s almost like being exposed to that unsettling sound you hear when someone slips his fork and knife onto a plate when attempting to cut something, we all hate that noise. Wearing ear protection can help keep your child calm by reducing all of these infuriating noises. Many children suffer from lack of concentration and the tendency to get trapped in their own heads as an escape from loud distracting noises. Filtering out the unwanted background noises can help boost a child’s auditory focus and enhance his learning abilities as a result. Ambient noises can disrupt the quality of sleep that your child is very much in need of at such an early age. A sufficient quantity of sleeping hours is crucial to a child’s physical and mental health, and so using a pair of noise-canceling headphones will get rid of any sound that might wake your child up which will improve the quality of his or her sleep substantially. This feature is an indication of the amount of noise that is filtered out by wearing ear protection. You should be looking for a pair of headphones with a high noise reduction rate. The maximum NRR that can be achieved is in the low 30s. Do not buy any sort of ear protection if the NRR label is not present. Make sure that you pick out a pair of headphones that is easily adjustable so you don’t have to worry about it being too big or too small. Also, look for the ones that are padded with soft materials, children will usually refuse to wear anything that they find uncomfortable or irritating. Since we’re talking about ear protection for children, we don’t to buy them a gloomy and repelling black pair of headphones. 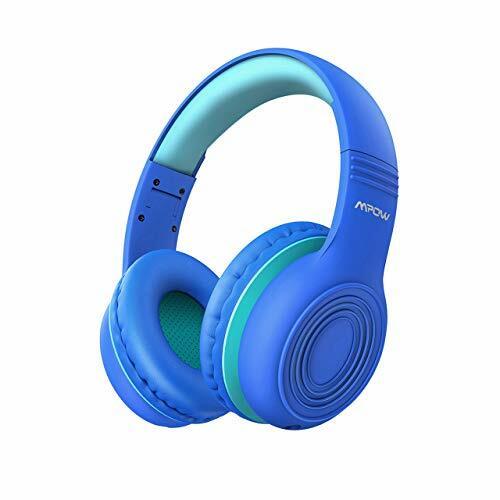 A colorful and vibrant design will definitely appeal to your children and increase the chances of them actually wearing their headphones willingly. Now, we will help you narrow down your options by presenting some of the best noise canceling headphones on the market today. The most important feature of these headphones is they are self limited. That means there is no chance your child is going to crank up the volume by accident and end up with hearing damage. They are priced very reasonably and have great feedback on Amazon. The only issue is they were designed to fit children between the ages of 3-8, so they may be too large for children under the age of 3. They also don’t have any noise canceling technology – so they may not be the best option if you are looking to cut out noise to relax your baby. Built with your child’s safety in mind, the Mpow headphones have a volume limit function of 85 dB. The one advantage the Mpow has over the Nenos above is their size. Over-ear headphones are much more comfortable to wear and will offer more noise reduction for loud environments. They are designed for kids ages 2-16. Which, as a side note, makes them perfect for women with smaller heads who can’t find regular headphones that fit. The headband is expandable so your child can continue to wear them as they grow. Again, these come in at a lower price point which means there won’t be active noise cancellation. 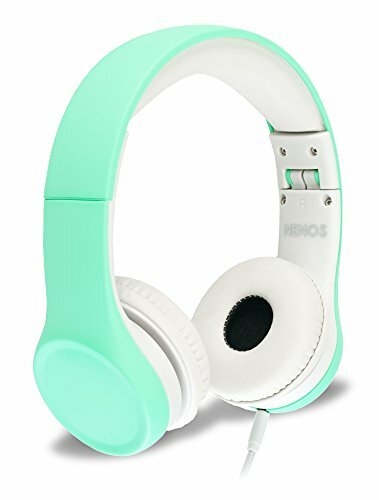 SUPER COMFORTABLE KIDS HEADPHONES - Original PATENT PENDING CozyPhones with ultra-thin 1/8" limiting speakers and durable braided cable. These earphones are a great alternative for girls or boys of any age who hate earbuds, struggle with bulky over the ear headphones. 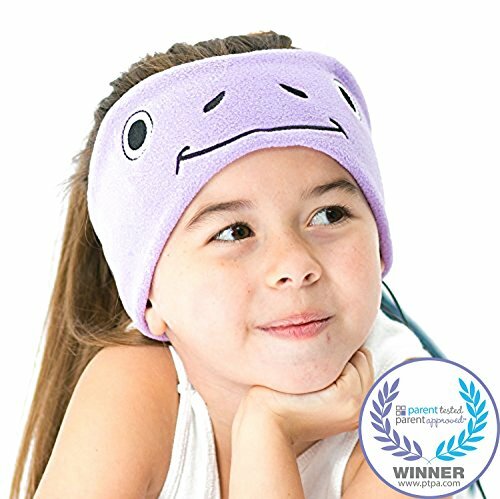 lightweight, comfortable, washable headband with adjustable, removable speakers provide the perfect fit and won't fall off. PERFECT GIFT FOR EASTER - CozyPhones make great Easter gifts for women, men, moms, dads, teens, kids, and just about anyone! VOLUME LIMITED FOR HEARING PROTECTION - The headband is soft and washable, and the ultra-thin speakers are limited to 90 dB to protect little ears. No earbuds sticking in the ear, or bulky headphones that don't really fit. Can also be pulled down over the eyes as a sleep mask for a worry-free nap. CozyPhonesTM are also great for sensory issues and special needs! One of my favorite options for babies – the soft headband is great for children who can’t stand the feeling of earbuds or regular headphones. They won’t, however, be great for reducing noise in stressful environments. The speakers are ultra-thin – coming in at only 1/8”. This small size makes them incredibly light. They are limited to 90dB, which is fine because there is no earbud entering the ear so the volume limit can be a little higher. Finally, they come with a braided cable. Braided cables are usually a little more durable and are tangle resistant. Bottom line: great for kids who don’t like the feeling of regular headphones, but not the best for noise reduction. Finally, another kid-friendly headphone from MPow. Similar to the other headphones on my list they are designed to fit smaller heads. They also come made entirely from food-grade material. Great for those kids who can’t stop putting things in their mouths! The headphone cord is made from a flat, tangle resistant material. The volume is limited to 85 dB – a little higher than I would like, but it still will prevent any hearing damage from occuring. The headphone comes with two 3.5 mm headphone jacks so you can string together two sets of headphones if you have more than one child wanting to listen to the audio. Overall a great option at a reasonable price. If you have a child under 3 you are probably better of using earmuffs instead of headphones. BEST HEARING EARMUFFS for infants and toddlers. These baby earmuffs are perfect for newborns through 24 months and up. BABY BANZ CHILD SOUND PROTECTION continues to lead the market. One of the most popular headphones on the market for quite a number of reasons. 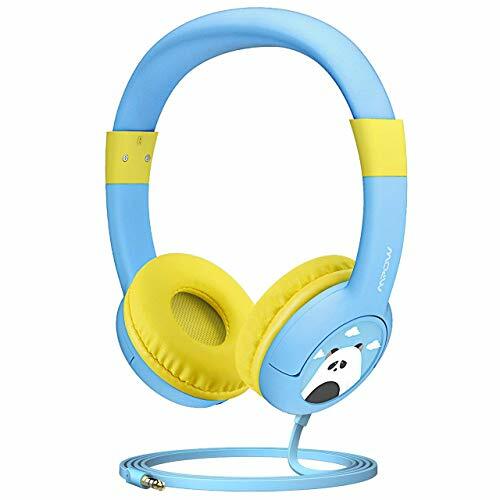 These headphones are specifically designed for infants who are three months or older and could very well be suitable for kids up to two years old. Design: a slim, lightweight and compact design that will make it extremely easy to carry around at all times. Comfort: These headphones are padded around the cups and cushioned to ensure a high level of comfort for your baby. Also, The headband provides a nicely balanced snug fit over the ears. Performance: with a high noise reduction rate of 31 decibels, your child will be completely immune to loud noises while still being able to hear clearly. 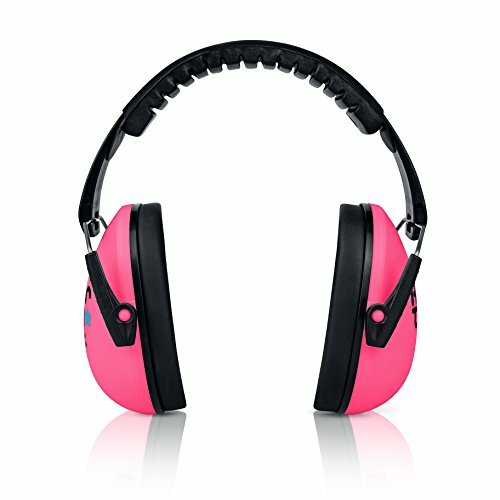 QUALITY PROTECTION - HearTek Kids and Junior Ear Protection Earmuff features two-pointed mounted cups for even pressure distribution with a 27dB NRR for noise canceling. Ideal for sports events, concerts, festivals, fireworks, and special needs children. DURABLE COMFORT - The padded headband and soft padded ear cups provides a comfortable fit. The water-resistant vinyl material makes it durable and easy to clean! Spend less and get more with this pair of quality headphones. They come in a variety of vibrant colors and an overall cool sporty design that your child will certainly enjoy. Design: the design of these headphones is one of my personal favorites from this list. They are also collapsible which is very useful for easy packing. Comfort: the mounted cups covering each ear help divide the weight of the headphones evenly and they are self-adjusting. They are also padded for comfort and ease. Performance: the 27-decibel noise reduction rate makes these headphones practical in almost all situations. It provides the perfect balance of protection while still being able to hear everything clearly. 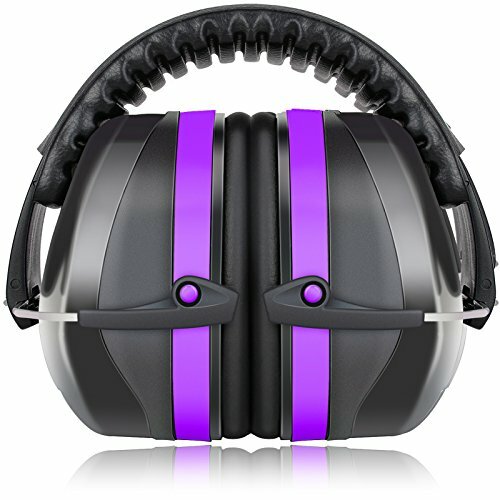 34dB - Highest NRR ear defenders for shooting, sports events, concerts, festivals, fireworks. COMPACT - Portable size for for efficient storage, the must- have for ear protection. Another pair of headphones that is really popular not only for its modern and cool design, but also for its high noise reduction rate. These headphones will definitely impress you and your child. Design: the whole aesthetics of these headphones is by far my personal favorite. A very good balance of size and color which makes this design an eye catcher. Comfort: these headphones aren’t just comfortable for kids, they’re also suitable for adults as well due to the wide padded headband. The cups are also padded for additional comfort. 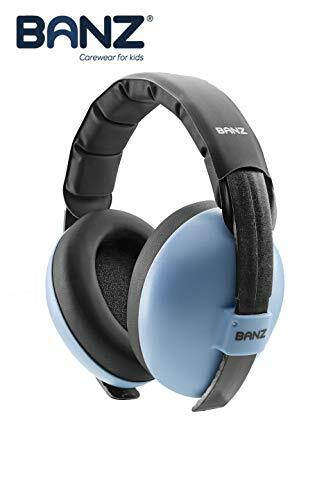 Performance: this pair has two layers of noise dampening foam and a noise reduction rate of 34 decibels which makes it ideal in the harshest and most extreme noise exposures. Grab these super chic MUST HAVE ear muffs for your little one. Perfect for events such as concerts and racing, and those awful thunder storming nights! Designed for children between the ages of three months and two years, these headphones can be custom built using your desired measurements to ensure a great fit for your child’s head. A great choice if you seek maximum comfort. Design: as we’ve mentioned, these headphones can be customized to your child’s head dimensions which leave no room for error when it comes to size. Comfort: the headband and the ear cups are padded and cushioned to provide a firm and snug fit. 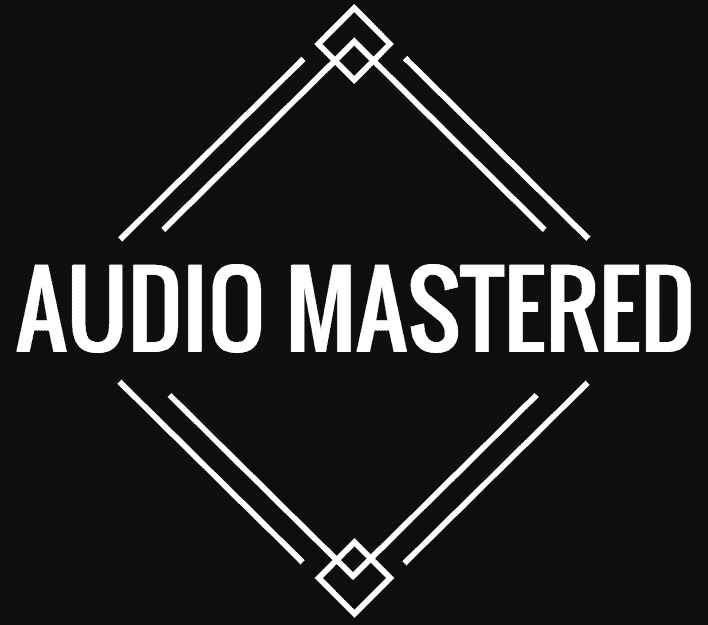 Performance: these headphones come with an above average noise reduction rate of 25 decibels which is great for crowded areas but wouldn’t block out all the noise in extreme cases. These machines a background noise that interferes and masks unwanted noises keeping the room quiet. These machines help increase the quality of sleep and some may find it extremely soothing and stress melting. Find out more in my article covering noise canceling machines. This is another great way you can protect your child from unwanted noises and frequencies, it’s cheap and very effective. Using soundproofing foam and dampening curtains in your child’s room will reduce the amount of sound and echo inside the room. All in all, these headphones are the highest rated ones on the market and should be sufficient enough to get the job done. Personally, I would go with the BEBE Earmuffs for hearing protection and the Mpow Headphones if you are looking for an audio option. We hope that you were able to pick out the right headphones for your child based on the information that we provided. 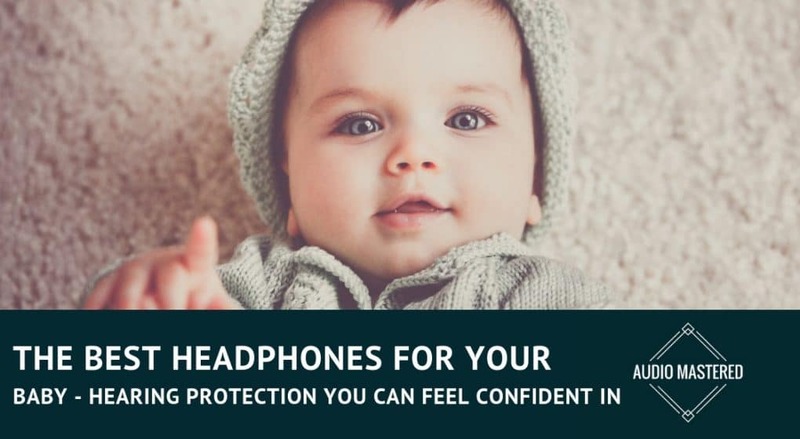 We live in a noisy world that can harm your child’s ears or affect his mental health so please do not hesitate to buy a high-quality pair of ear protection before taking your child along with you anywhere.